Let’s give Alpinestars a hand (pun intended). They’ve single handedly (ditto) made our lives more difficult. My heart bleeds for you Adventure/Sport Touring riders out there. If the current market for riding gloves did not offer too many options already.....there are more! Now introducing the Archer, Equinox, and GT-S gloves from Alpinestars. What are these gloves “packin”? 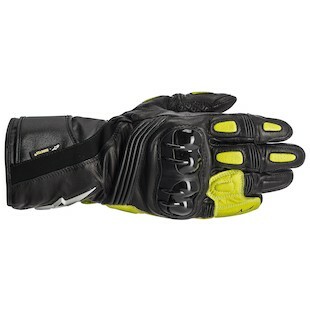 These gloves pack a punch with protective gauntlets, leather construction, and Gore-Tex waterproofing. All of these gloves are X-Trafit. Does that mean they’ve been working out? No, but they are some pretty robust all-weather gloves. The beauty of X-Trafit is that it gets rid of the industry standard “bulky trash bag” waterproof liner. X-Trafit secures the Gore-Tex membrane to the inside of the outer leather shell. It’s oh sooo comfy. In the spirit of comfort, the accordion stretch panels provide so much dexterity that you can actually play an accordion in these gloves.....at 100mph. However, please note, Revzilla doesn’t recommend or condone this type of behavior. Although these gloves have their similarities. They do have attributes that make them unique. The Alpinestars Equinox Gloves are the only gloves in this trio with a dash of textile mixed into their leather construction. Their design is subtle, especially for Alpinestars. The full gauntlets of the Equinox gloves do not have any taper to them. Therefore, they should be most comfortable slipping your jacket sleeve over top of them. You will not be playing the accordion at 100mph in these gloves because they don’t contain the level of stretch that the Archer and GT-S gloves have in their fingers. Perhaps settle for a harmonica instead or set a comfortable speed index at 85 mph...just to be on the safe side. These gloves seem to be tailored to the Adventure / Touring motorcyclist. 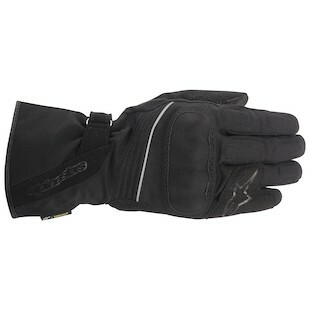 Jumping from Adventure Touring to more of a Sport Touring feel we have the Alpinestars Archer Gloves. Astars is known for their eye popping styling and we begin to see that bleed through with the Archer gloves. Like the Equinox, these have a non-tapered full gauntlet. We do see maximum abrasion resistance with their all encompassing leather makeup. 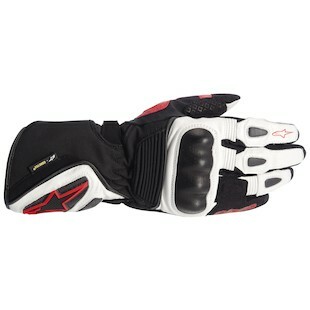 Another solid offering from Alpinestars. Jump on your VFR and hit the canyons....rain or shine. Here’s the Astars we know and love. The Alpinestars GT-S Gloves scream “refined aggression” with their full leather construction, exaggerated pre-curve, and full gauntlet cuff that is actually tapered to go over your sleeve. The GT-S gloves are definitely an all-weather sport glove. Now, hop on your 2006 ZX6R, throw on your Jaws Leather Jacket, and snug up the adjustment straps on your GT-S gloves. It’s time to get that knee down! So let’s break it all back down. In a nutshell, Alpinestars is providing three high end all-weather Adventure/Sport Touring gloves that should have riders looking at their old gloves and trying to justify their next purchase.